We want our children to know the God we love and worship, but communicating abstract truths about God can sometimes be difficult. It's good for us and for our children that God wants to be known. So he doesn’t simply tell us what he’s like; he shows us in the stories of the Bible. As the sequel to Mighty Acts of God, this volume tells 90 more stories from the Bible, beginning with the account of God creating Eve and ending with the epic visions in Revelation. 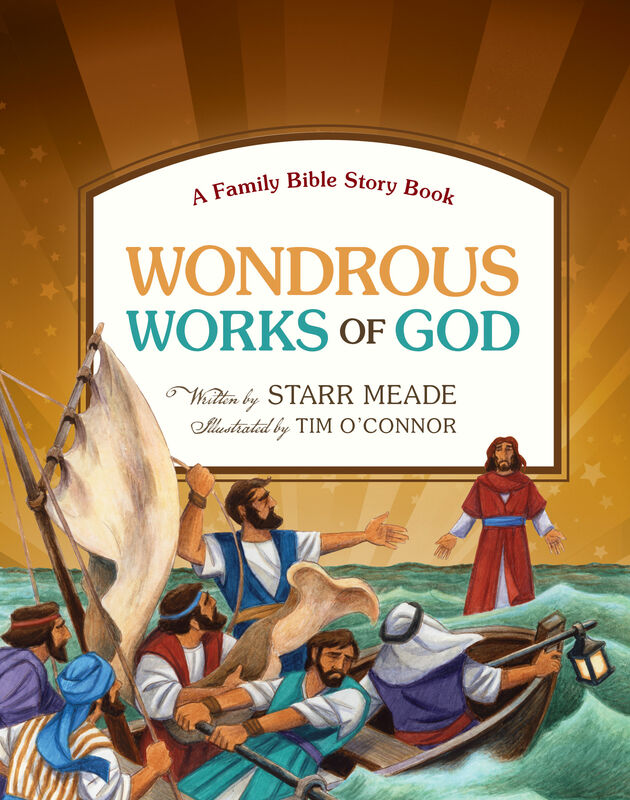 Each story highlights an aspect of God’s character and includes a helpful discussion guide to help the whole family see and understand the wondrous works of God! Starr Meade served as the director of children’s ministries for ten years at her local church and taught Latin and Bible for eight years at a Christian school. She is a graduate of Arizona College of the Bible and has authored a number of books. Starr lives in Arizona with her husband, where she currently teaches homeschool students and is mother to three grown children and six grandchildren. Tim O’Connor began his career in 1975 as a freelance animator and character designer. In addition to painting watercolors of American scenes, O’Connor has illustrated various Christian children’s books, including My Bedtime Anytime Storybook and My Pajama Bible.